Yacahudah, who lives in his car with his wife here in Inwood, might be the jolliest and most good-natured person I have ever met; just being in his presence is a joyful experience. 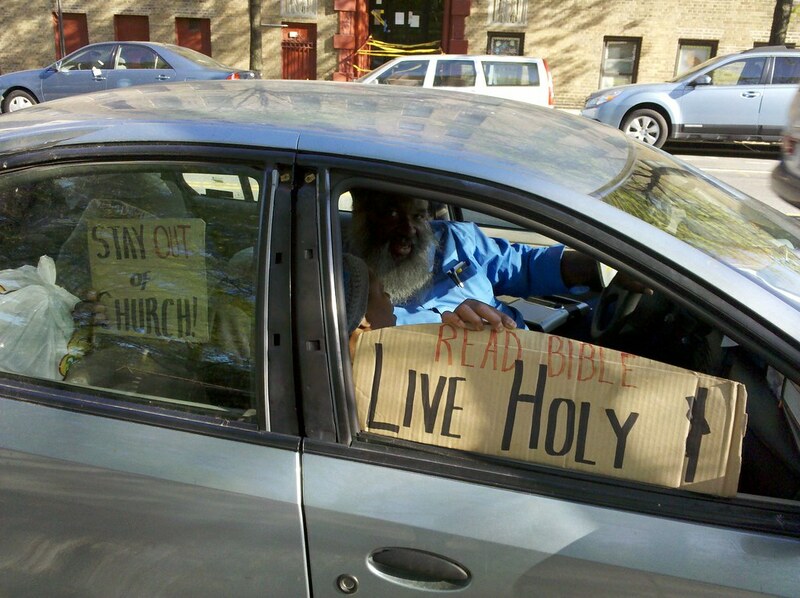 He also seems to be something of a scholar on the Old Testament, with a library of books, including the 1200-page Brown-Driver-Briggs lexicon, stacked on top of his dashboard. We're going to pay him another visit somewhere down the road, and we'll learn more about him then.